The introduction should be catchy. Its purpose is to capture the readers’ attention from the first sentence and convince them to continue reading the essay. In the main body, the student is expected to express the main idea of the essay in a clear and explicit manner. The conclusion sums up the main idea of the essay. The reference list must include all the sources used for the paper. Remember: students who violate this order receive lower grades. A thesis is a complicated academic work. Unlike essay outline template, thesis outline template has more complex structure. In addition to the introductory part of the essay outline, it should also include the tools and research methods which were used in order to complete the paper. The introductory part should also mention the results that you expect to obtain. As this is a serious form of academic work, the thesis outline template should also include a literature overview where you have to explain why you selected the specific information sources. There is no point in working on a thesis if you don’t have a comprehensive outline. Research Proposal should prove that you are writing a paper on the important topic and assert that you are competent to conduct a research. The research proposal outline should highlight the key problems of your research, prove that the topic you have selected is urgent, and, like the thesis outline, it should include a literature overview where you should explain why you have chosen certain information sources. The structure of the research proposal outline template has to be very clear, and while reading it, your professor should understand the aims you have set for this research and the tools you will use to achieve them. APA, MLA, Turabian, and Harvard are the most popular formatting styles. Among them, APA and MLA take the lead. Just imagine: while you are reading this article, there is someone writing a research paper in the APA style. Whenever you have to write an essay in this style, you should have a quality APA research paper outline template. Some of the requirements used for this style are a center headline and a single space after any kind of punctuation symbol. Before writing an essay in this style, follow the order of elements specified in the template. 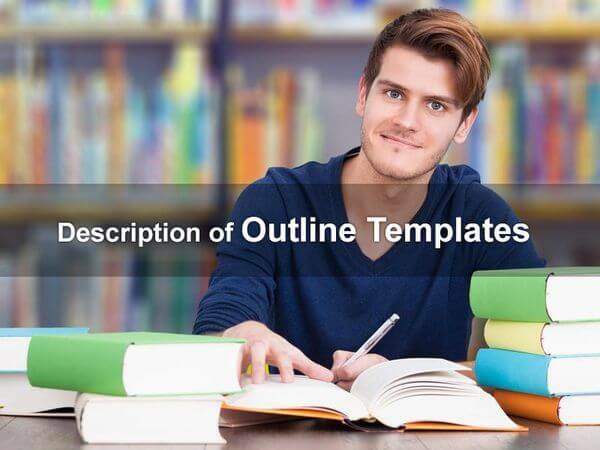 Use proper outline templates for different types of academic writing and you will successfully deliver your papers.